Consider a life with clear, crisp vision. Imagine waking up and seeing the numbers on the clock without reaching for your glasses. Think about reading the label on your prescription bottle or scanning the newspaper headlines without putting in your contacts. Your quality of life instantaneously improves! The doctors of Eye Physicians of Lancaster can make this a reality with vision eye correction treatment. 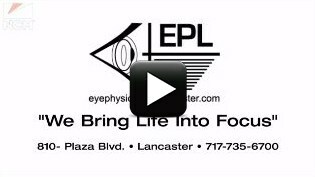 Eye Physicians of Lancaster, led by Dr. Thomas Krulewski, is a full-service ophthalmology practice that offers advanced refractive and cataract treatment procedure options in Lancaster, including LASIK, PRK, and retina surgery. Whether your goal is to achieve independence from glasses and contact lenses, clear up age-related cataracts or treat a specific eye condition, Dr. Krulewski and our team of professionals will design a solution using leading lasers and technology. Our practice has been serving Lancaster, Pa., since 1974. Our longevity can be attributed to our steadfast commitment to exceptional patient care. Every one of our patients has unique needs and goals, and we treat everyone with compassion and respect. We think of our patients like family, and we focus on their safety and satisfaction at all times. Dr. Krulewski and our team take a patient-centered approach to treatment. We meet with you individually in your eye consultation to break down complicated medical concepts into clear, easy-to-understand language so that you can understand any eye health issues or eye procedures you may need. Our goal is to explain and help you understand exactly what your options are as far as eye treatment and your end results. We also provide videos and print materials to explain all eye treatment options in detail, so our Lancaster patients feel educated and included in the treatment planning process. All of our patients, including you, are entitled to clear vision and a great experience at our Lancaster practice! Dr. Krulewski has always been in the forefront of new technology for cataract surgery. Read about the newest state-of-the-art cataract treatment. 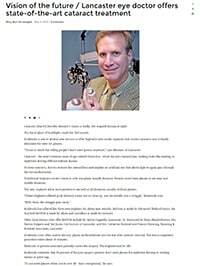 Doctor Krulewski is a board certified ophthalmologist and a Lancaster County pioneer in laser vision correction. He has performed many thousands of laser vision corrections and cataract surgery procedures in Lancaster while providing an exceptional level of surgical and medical care. A Harvard graduate, Dr. Krulewski earned his medical degree and doctor of philosophy degree at The Mount Sinai School of Medicine of The City University of New York. He completed his ophthalmology residency training at the Jules Stein Eye Institute of the University of California, Los Angeles, where he served as chief resident. Dr. Krulewski is certified by the American Board of Ophthalmology and is an active member of several state and local medical societies. He lectures and publishes on topics related to vision research. Dr. Krulewski has served as the Chief of Ophthalmology at Lancaster General Hospital and serves in various other leadership capacities. If you would like to learn more about the life-changing benefits of LASIK, PRK or another vision correction treatment, please contact Eye Physicians of Lancaster today at (717) 735-6700 to schedule your consultation with Dr. Krulewski. 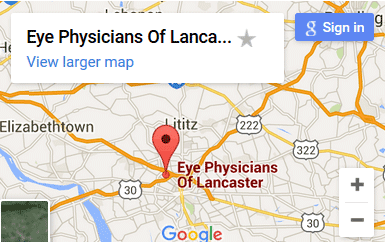 We are a comprehensive Ophthalmology practice, serving Lancaster County since 1974. We are dedicated to improving the lives of our patients through excellence in eyecare. Your sight and your health are very important. We are here to help you.